Help put Uitenhage on the world map by donating blood at Engen Penford. Apart from trying to set a new world record, more importantly is that your donation could save a life. That has to be worth a pint. Anyone living in or around the Uitenhage area – or passing through Uitenhage tomorrow (Friday October 6th) – please pop into Engen Penford to help the town set a new Guinness World Record for ‘Donating the Most Units of Blood in One Day by a Town’. This is the title category that Engen Penford has applied for in an attempt to set the record. The owner of Engen Penford, Gerrit Meyer, along with organiser of the event, Marthinus Greyling, want to ensure that Engen Penford’s annual blood drive makes a real difference. In order to break the record, the community of Uitenhage and the neighbouring surrounds need to donate 150 pints of blood. “We would love everyone to help us put Uitenhage on the world map and come and donate blood on the day,” says Meyer. The record breaking is set to take place from 09h00 until 18h00. 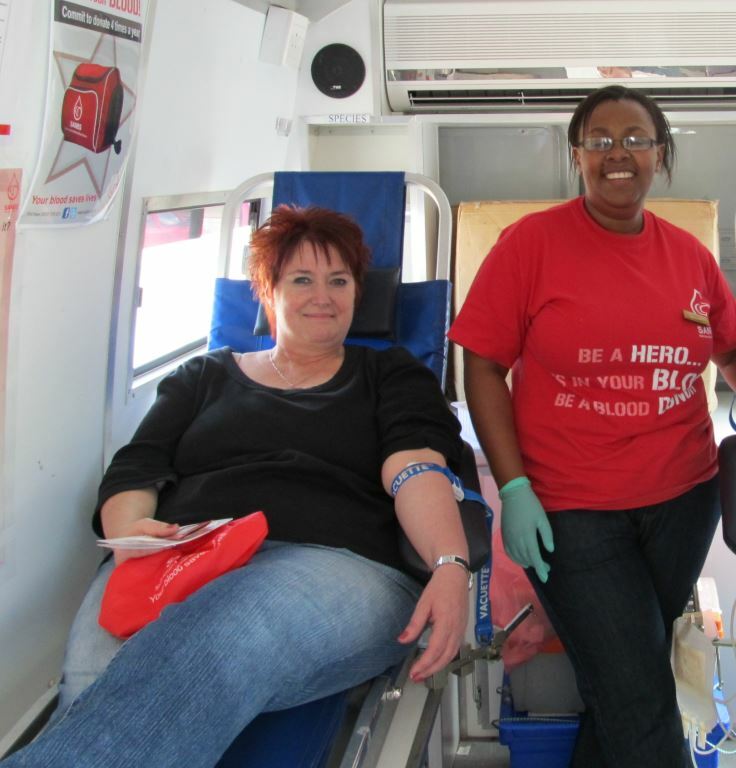 Nelson Mandela Bay Metro Mayor, Athol Trollip, will be on hand to officially open the blood drive. “Over the festive season, which is fast approaching, blood is in high in demand. As a business and a brand with integrity, we want to show our community and the world that we are giving back the gift of life. Someday, somewhere in our life-time, we all might need blood which is why we are all obligated to help in any way we can,” says Meyer. Following the blood donation drive, a ‘Walk for Cancer’ event is being held on Saturday October 7th with all profits going to the Igazi Foundation, an NPO based at the Port Elizabeth Provincial Hospital. Greyling says this inaugural Uitenhage Walk for Cancer is to mark Cancer Awareness month in October. “The Uitenhage Walk for Cancer will start at 08:00am and we are aiming for 5 000 entries at a cost of R30 per adult and R20 per child.” The objective of the two events is to create awareness about the necessity of donating blood as well as about cancer. Engen’s manager of corporate social investment, Mntu Nduvane, says the company fully supports the blood drive because it plays such a vital part in saving people’s lives and is proud to be associated with the Uitenhage Big Walk for Cancer initiative. “As Engen, we fully support and encourage our service station owners to roll up their sleeves and engage with their local communities. We wish Engen Penford every success in setting this exciting new Guinness World Record,” she says. Well done Engen Penford. Now let’s see other service station ownrs around the country follow this fine example.